California law allows individuals to file civil lawsuits with claims of less than $10,000 in small claims court; the limit is $5,000 for businesses and $2,500 for sole proprietors. If the defendant in the case does not appear at the scheduled hearing, the court can award a default judgment to the plaintiff, who then has the right to collect the judgment amount. A defendant who has lost a small claims case by a default judgment may file a motion to vacate and request a new hearing. A California small claims court will award a default judgment to a plaintiff if a defendant does not appear at the appointed hearing or if the plaintiff does not appear at all. With a default judgment, the plaintiff has full authority to collect the award through garnishment of wages, filing liens against the defendant's property or placing a levy on assets in a bank account. Default judgments bar any appeal of the judge's decision on the basic facts, but the defendant may contest the default itself by filing a motion to vacate the judgment. You must file a SC-135, Notice of Motion to Vacate Judgment and Declaration within 30 days of the mailing of the clerk's notice of default. The form requires that you state a reason for the motion and if you did not appear, you must state why. If you were not properly served with the original complaint, California law gives you 180 days from entry of the default judgment to file the motion to vacate. Upon receipt of your motion, the court clerk will set a hearing date. The other party in the case has the right to object to the Motion to Vacate and request the court to enforce the original default judgment. Both parties must appear at the scheduled hearing where the judge will hear arguments and accept any evidence, such as a doctor's note or other evidence that shows you were unable to appear. The judge will deny the motion and affirm the original default judgment, vacate the default and set a new hearing date -- or, vacate the default and hear the case immediately. If the judge grants the motion to vacate, the court will hear the case "de novo," meaning there is no judgment on the claim and the claim starts over. 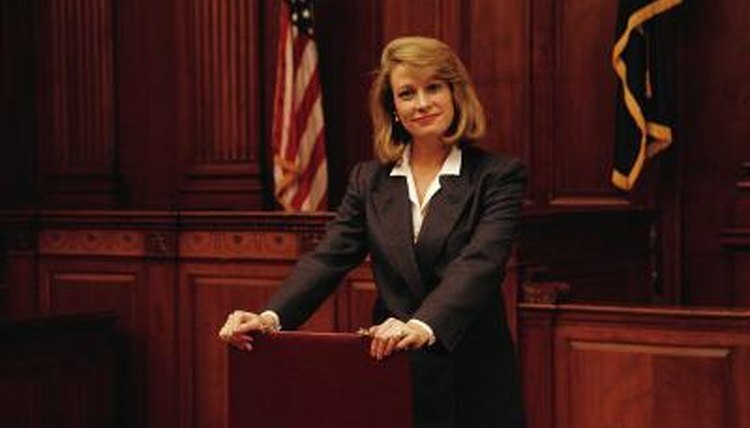 In many cases, the judge will hear the claim right after the hearing on the motion, so both parties must bring any evidence or witnesses necessary to prove their cases. If the judge denies the motion to vacate, the petitioner has 10 days to file an appeal of that decision on form SC-140, Notice of Appeal. Streissguth, Tom. "Can a Defendant Appeal a Default Judgment in a California Small Claims Action?" , https://legalbeagle.com/12306795-can-defendant-appeal-default-judgment-california-small-claims-action.html. Accessed 18 April 2019.